Search Engine Room here in Sydney has officially wrapped up and it’s back to business for us. Well, sort of. The time difference between Australia and back home makes things a little tricky but thanks to Email and a great team, the show goes on. We’ll have 4 days to check out Sydney, which is both awesome and a crime since we’ve come so far and there’s so much to see. Maybe next time it can be a longer stay. On day two I presented on a panel called, “Blog Marketing and Optimisation” with Andrew Pascoe (second from right below) who writes the Under The Rotunda blog and gave a great introduction to blogging as well as methods of deriving traffic via search and aggregation sites like Techmeme and Digg. 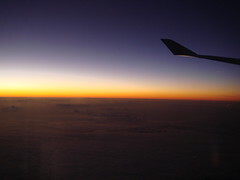 Susan and I made it to Sydney, Australia early this morning and go to watch the sun rise over Eastern Australia during the descent. After a few hours getting through customs, then getting our bags x-rayed on the way out and then getting checked again to get into a line to get to the exit of the airport, we made it outside for the line to the taxis. It might have been a lot of hurry up and wait, but we were just thankful to be outside in the fresh air. Tomorrow I’ll be doing a presentation on SEO and Public Relations. The buzz about SEO and PR has been strong the past few years, especially with Greg Jarboe, Jamie O’Donnel, Sally Falkow, Amanda Watlington and many others including TopRank making significant headway into developing new strategies and tactics for clients. March has been a bit crazy so far as we’ve been rolling out an enormous SEO campaign for one Fortune 20 client and are in the final stages of signing another. On top of that, March will be a speakorama on blogs and public relations. Last week I had the pleasure of presenting for the IABC chapter in Minneapolis at St. Thomas University with Sarah Bjelland, a VP from Wells Fargo. The event was called, “Delivering Insight into Business Blogs” and I presented on social media in general, trends with business blogging, applications for blog software in a corporate communications strategy and best practices for corporate blogs. Here we are again with this week’s additions to the big list of search engine marketing blogs. Of course the OPML file and plain text file have been updated as well. Enjoy! 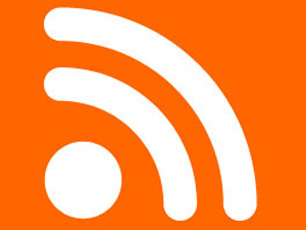 RSS Ray – Offers articles on internet marketing and also hosts an online radio show. TMA E-Marketing blog – Minnesota search marketing firm blogs about all aspects of marketing online. In Search of Stuff – Humorous look at the search marketing industry by Scottie Claiborne and Michael Motherwell. Alibi Productions Blog – Drew Stauffer’s blog about marketing online. Startuplay – A guide to China internet marketing written by Sergey Mirkin, a Russian born, Silicon Valley educated fellow living in China. Search Insider – Media Post’s group blog on search marketing. Is blog optimization part of search marketing? Absolutely! Blogs are web site content management systems with additional functionality such as comments, trackbacks and RSS. Blogs are really no different than web sites. If you can optimize a document and that document gets indexed, categorized and ranked by a search engine, it’s part of search marketing in my book. As such, marketers should be aware of how these kinds of channels can be used within the overall online marketing mix. Blogs are one of many platforms that benefit from optimization. It seems that every week I find a new and exciting WordPress plugins. There are literally hundreds out there and many that are still un-discovered. I thought I’d take the time to post my 5 favorite blog plugins in hopes that you might find some useful ones. I’d also like to hear your top five so I can discover some new favorites. – This re-arranges your blogs title page to be [post name ] – [blog name] which is good for SEO. – Automatically create blog post descriptions. Or write your own. – Update your search box to show results as the user types. The “opportunity” section explains how many journalists are ignoring the noise of getting pitched by so many PR firms and company PR staff. Whether it’s a pitch by phone or email, many members of the media go online (98%) to find news sources (76%), story ideas (92%), experts and to research press releases (73%). The percentages come from a study done by Middleburg/Ross.